Guest Author GIGI PANDIAN Reveals How She Debuted Twice + Signed Copy Giveaway! Gigi has offered to send a signed copy of ARTIFACT to one lucky commenter—more details at the end of this post! A few years ago, I’d been having fun writing as a hobby, but I’d never finished anything I’d started. That changed when I discovered National Novel Writing Month (NaNoWriMo) and signed up for the crazy challenge of writing a full 50,000 novel draft in a month. I completed a draft of Artifact, and it was awarded a Malice Domestic Grant, the mystery genre grant to foster the next generation of traditional mystery writers. The grant convinced me I should take my writing seriously. Once I finished revising my mystery novel — which took two years and a steep learning curve — I signed with a wonderful agent. 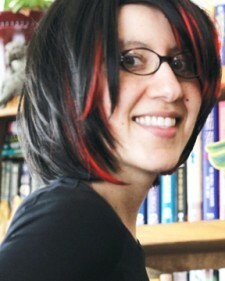 She was pitching the book to publishers when I was diagnosed with aggressive breast cancer. It was a month after my 36th birthday. With my life upside down, I needed a positive project to focus on. Since I knew my novel was ready to be out in the world, instead of waiting on someone else’s schedule I decided to throw myself into publishing the novel myself. Coinciding with the successful completion of my cancer treatments one year later, Artifact debuted in August 2012. I was having a blast: I held my book in my hands exactly as I’d envisioned it, threw a big party at a local independent bookstore, and was honored when one of my favorite novelists gave me a glowing book blurb. I didn’t think things would go any further. I was wrong. Artifact started getting great reviews that compared it to an Elizabeth Peters novel. It was named a “Best of 2012” Debut Novel by Suspense Magazine. Then I received a 3-book deal to pick up the series. In August 2013, Henery Press re-issued Artifact, which will be followed by Pirate Vishnu in February 2014. I’m currently writing Book 3 in the Jaya Jones Treasure Hunt Mystery Series. I love that I did things my way, because now I’ve got the best of both worlds. I’ve seen everything that goes into publishing, which was an incredible education. I emerged from cancer treatments healthier than ever, in part because I had a project I felt passionately about to focus on during chemo. Writing is a crazy business, but life is even crazier. I’m glad I’m enjoying every minute. Elizabeth Peters, whose Vicky Bliss books inspired me to become a mystery writer. Chris Baty, who began National Novel Writing Month. Jill Marsal, my fabulous agent who has supported me every step of the way. Kendel Flaum, my incredible editor at Henery Press. My writers group, which I’ll declare a singular entity to thank them here! Readers, who has helped you make your dreams come true? GIVEAWAY! Enter to win a signed copy of ARTIFACT when you comment on this post by 11:59 p.m. ET on Thursday, October 3. Follow The Debutante Ball on Facebook and Twitter for extra entries—just mention that you did so in your comments. We’ll choose and contact the winner on Friday. Good luck! US shipping only, please. 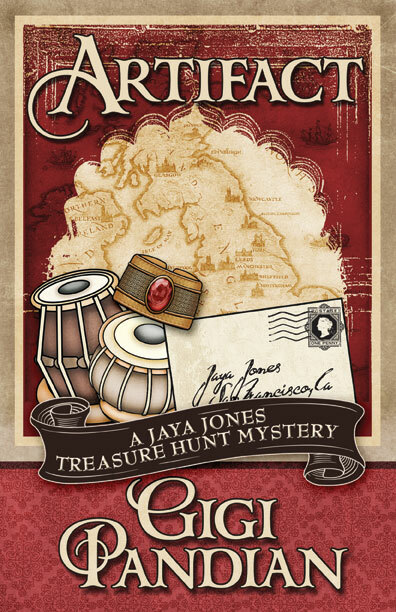 Sign up for Gigi’s email newsletter to receive a free, exclusive Halloween-themed short story in the Jaya Jones Treasure Hunt Mystery Series this October: http://gigipandian.com/newsletter/. This is quite a story! I love how original the premise is. You just don’t see many Indian artifact books floating around. Congratulations on your three book deal, and, more importantly, in kicking that cancer to the curb. Thanks for stopping in at the Ball! Thanks, Heather! I’m having a lot of fun with the series — so much I want to do with it, so I’m sooo glad my doctors caught my cancer early so I can keep at it! You have the most amazing story, Gigi. Such an inspiration. What I especially love is that all along you did exactly what YOU wanted to do, including the social media and self-promotion side of it. Thank you so much for sharing your story here! Very inspirational story! Plus….I loved reading ‘Artifact’ on my ereader. I stumbled across the book while perusing the mystery section of Kobo. I loved the premise of the story line, took a chance and bought the ebook. I am so glad I did and I’m looking forward to your next 2 books. I stumbled across Gigi Pandian & her works by way of a google search on the late great Barbara Mertz. She had been one of my all time favorite authors & so I couldn’t resist checking out a story that might be in a similar vein. Shiny new author, yay! Angel, I had the opportunity to meet Barbara Mertz in 2012, and she was just as wonderful as her books. I babbled on and on about how much her books had meant to me, but she was incredibly gracious! I love the fact that you found Artifact at your library. While it’s fun to see my debut book in bookstores, it puts an especially big smile on my face when libraries have it. What a great mystery concept and a fabulous story! I’m so glad you had your novel to focus on, and even more glad to hear that you beat the cancer! Huzzah for both! This compelling and unique novel would be memorable and fascinating. Wishing you the best of adventures, success had much happiness. I follow The Debutantes on Facebook. Sharon, thanks for the comment and good wishes! You rock, Gigi. I love that you chose to focus on a positive project to keep you going through tough times. We should all be so wise! Natalia, I do sometimes do forget to focus on the positive aspects, so I made my husband promise to tell me if I get stressed out rather than having fun with writing! I think I had the chance to meet you at Bouchercon in St. Louis and didn’t—what a shame! Glad you got a second chance, in both ways. Lori, I hope to see you at next year’s Bouchercon!